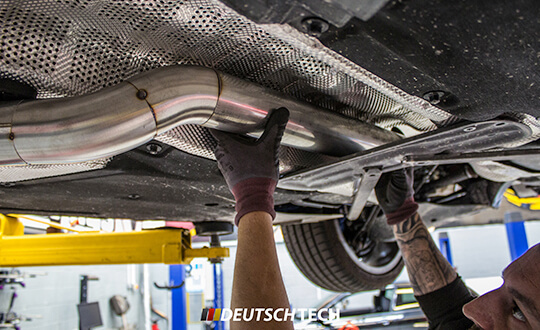 Here at Deutsch Tech we can Supply and fit everything available from the Performance BMW and Mini range and we also offer the same for the Porsche Equipment and accessories. We have the facilities to carry out the relevant coding for the electrical upgrades in house again with a saving against the main dealer labour costs. All of the products come with the same warranty provided by the main dealer and will not affect your cars standard warranty. We are also approved by AC Schnitzer who also have a great range of products please see our AC Schnitzer section in Approved Partners. Having only been founded in 2012, we have needed to grow quickly and that is exactly what we have done. Our knowledge of the German car industry has proven to be invaluable, allowing us to build a strong and hardworking team around us that love their jobs as much as we do. We are different because we put our customers first, we are only more than happy to answer any questions you may have. Just give us a call or drop us an email.